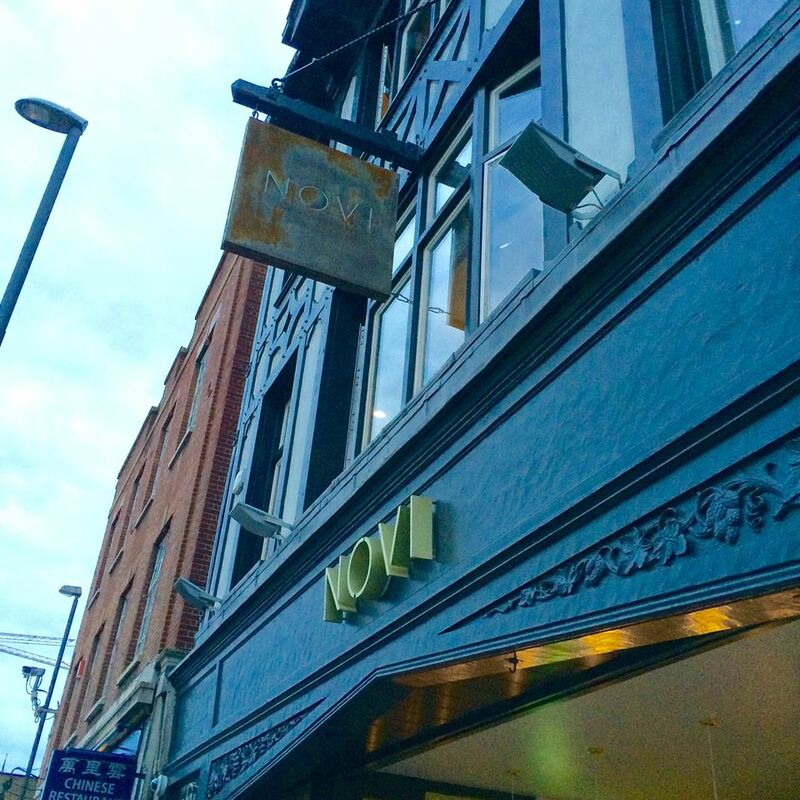 Novi have a beautiful open kitchen, making is easy to order directly from the pop ups and see all of the cooking action. Tick! 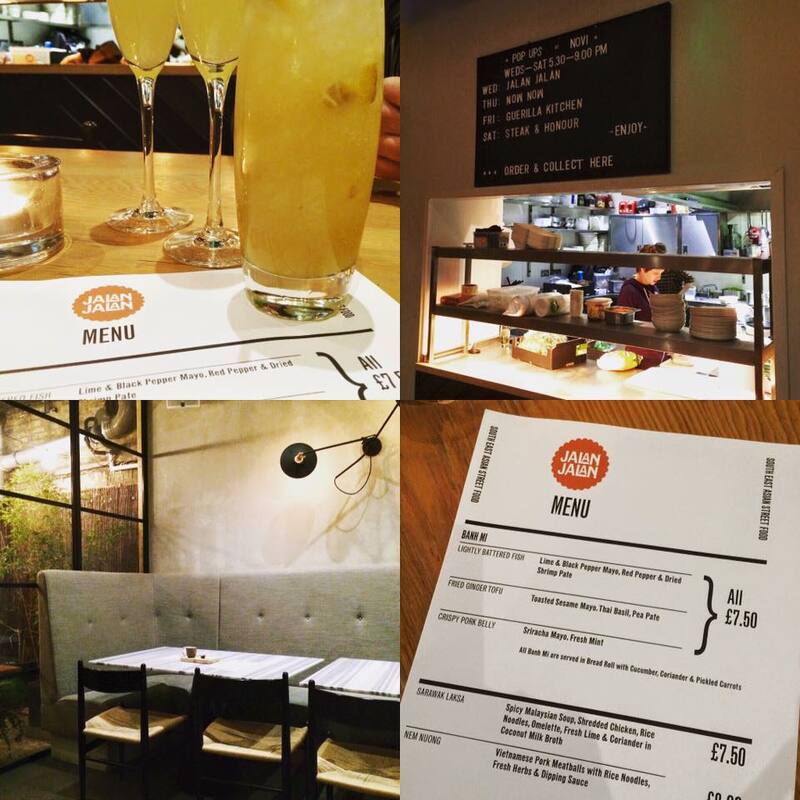 There is a different pop up almost every day of the week, keeping the menu varied and interesting. 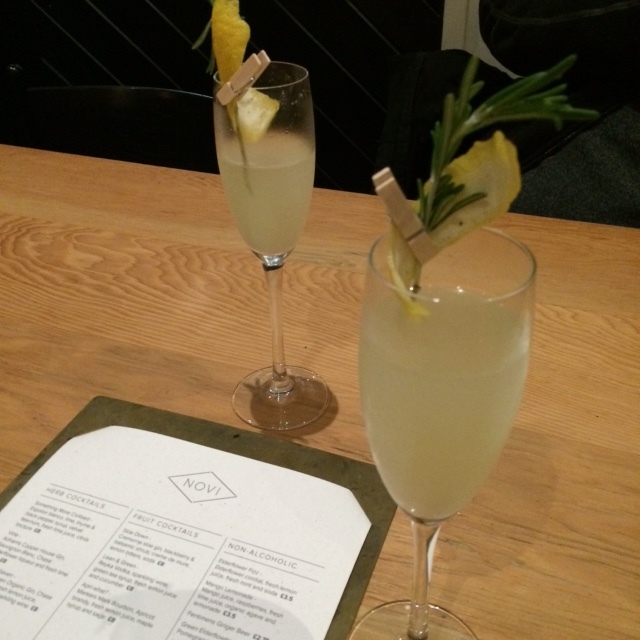 In fact, for the purposes of this blog (‘tis a sacrifice I make), I visited Novi a few days in a row to try their pop ups and I was never bored. 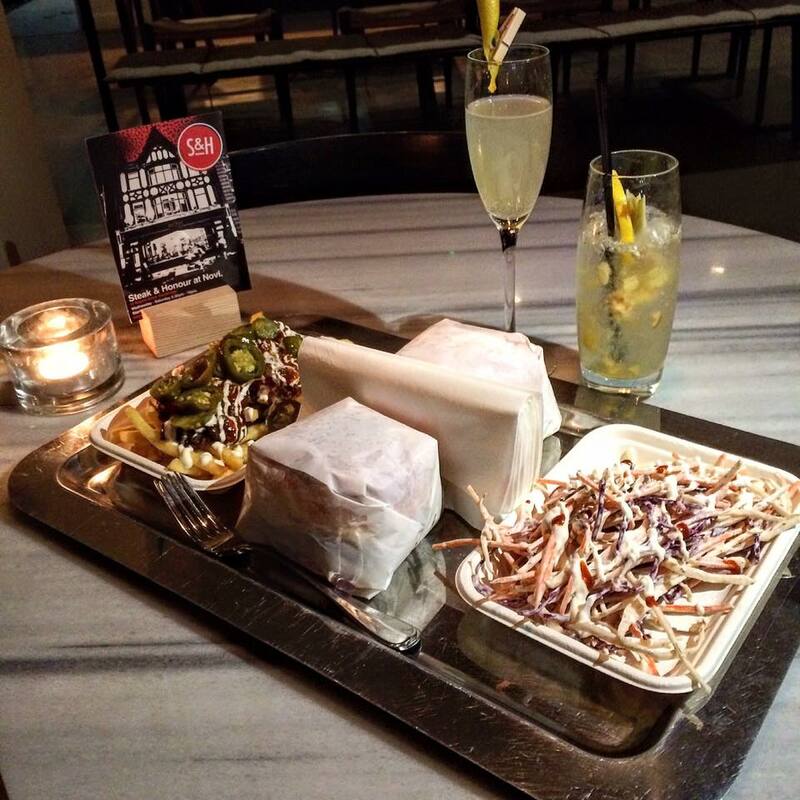 It was a different eating experience each time, complemented by the vast selection of cocktails. Novi’s layout is great too. 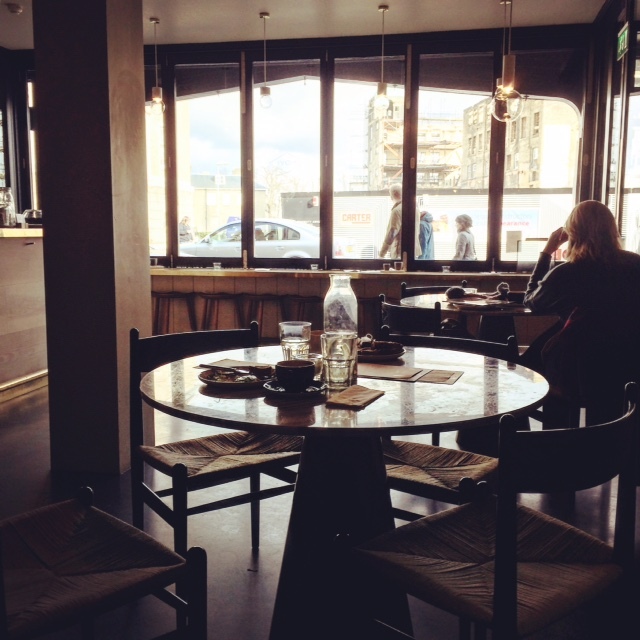 There are different seating areas and configurations so you don’t necessarily feel as though you’re always in the same place (although my favourite seat is right by the kitchen). 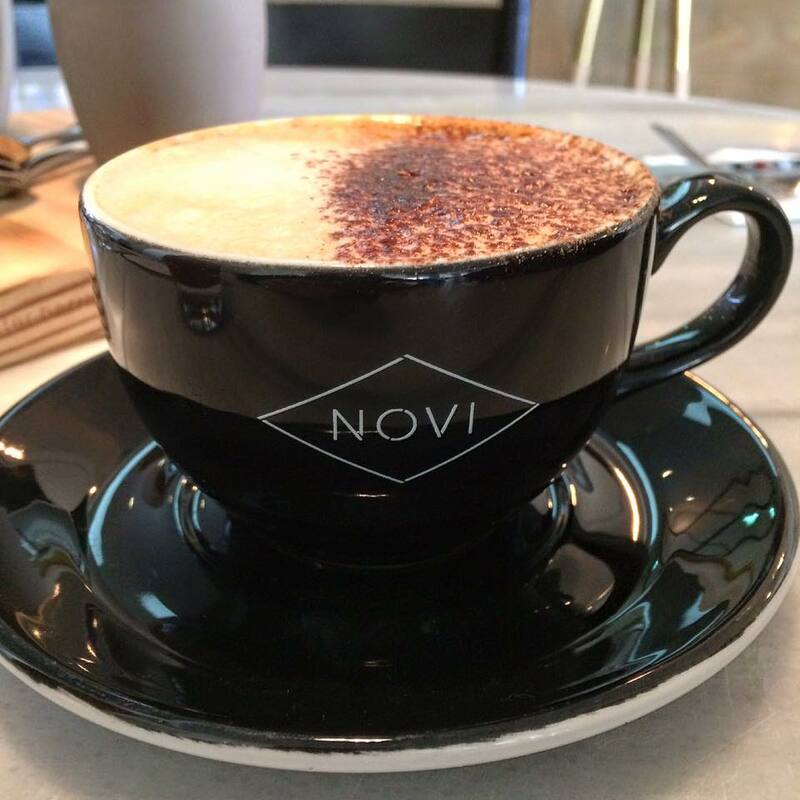 Novi have chosen some of the best independent traders to take over their kitchen. This keeps things vibrant and exciting, and that’s the whole point. It’s fun to follow Novi and check what’s new. 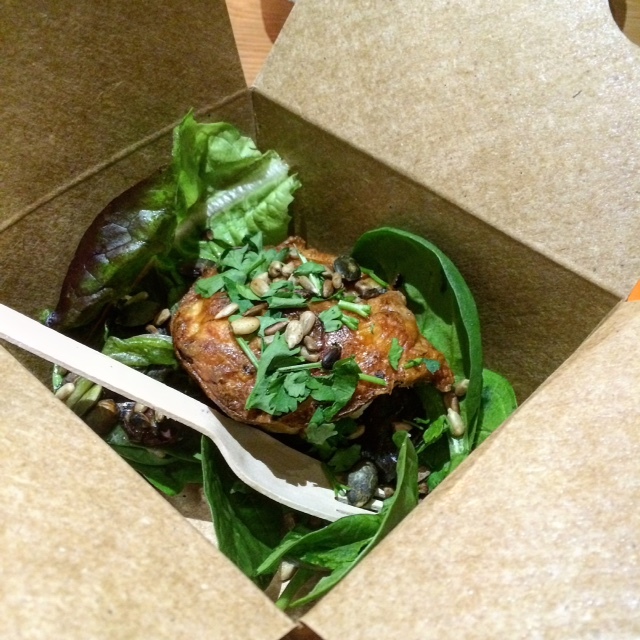 It won’t necessarily be the same pop ups every single week, although there are definitely firm favourites there. And even then, it’s uncertain how much longer they will be there so it’s always best to take action as soon as you find about a pop up that interests you. Check times too, as some of them are at dinner time only, but there are pops up for lunch and brunch on certain days. 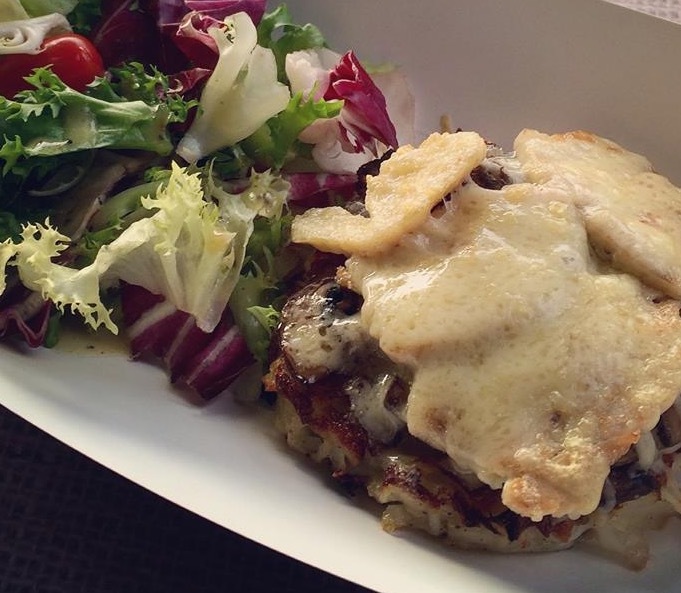 Steak & Honour finished a 3-month residency at Novi and are currently there on Saturdays only. 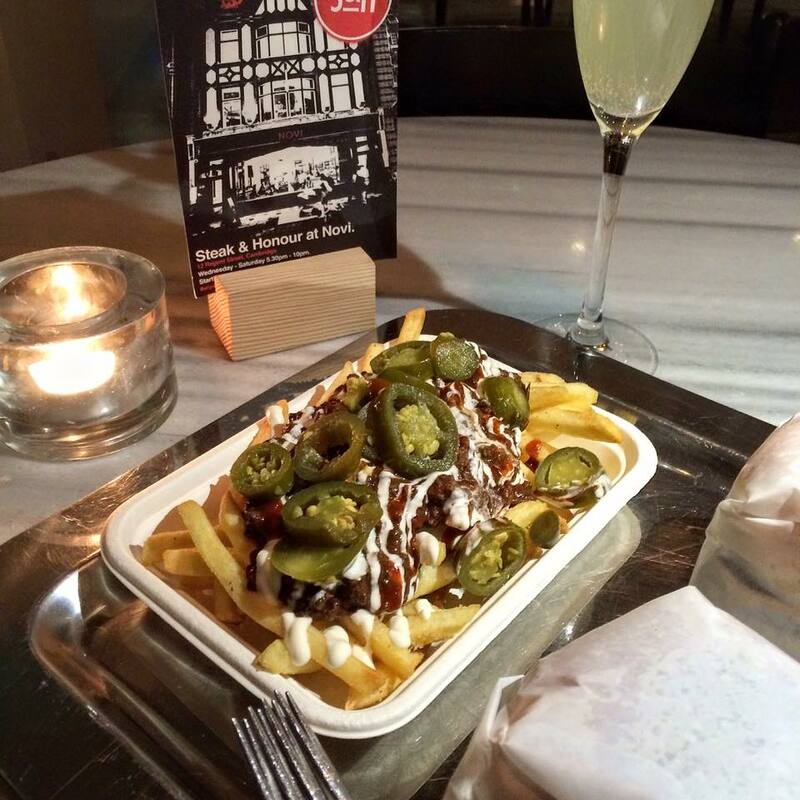 Their burgers are legendary but they have other menu items, such as vegetarian options and those heavenly chilli fries. I wrote all about their residency here. 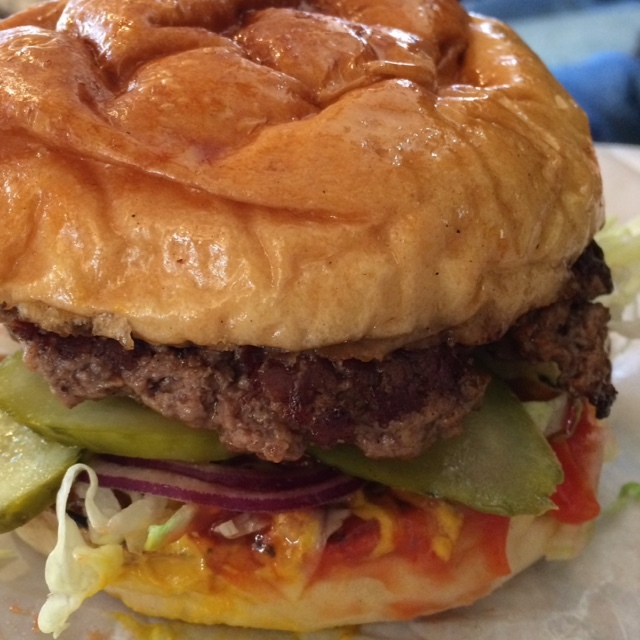 If you haven’t tried the best burger you will ever eat, make sure you head to Novi pronto. 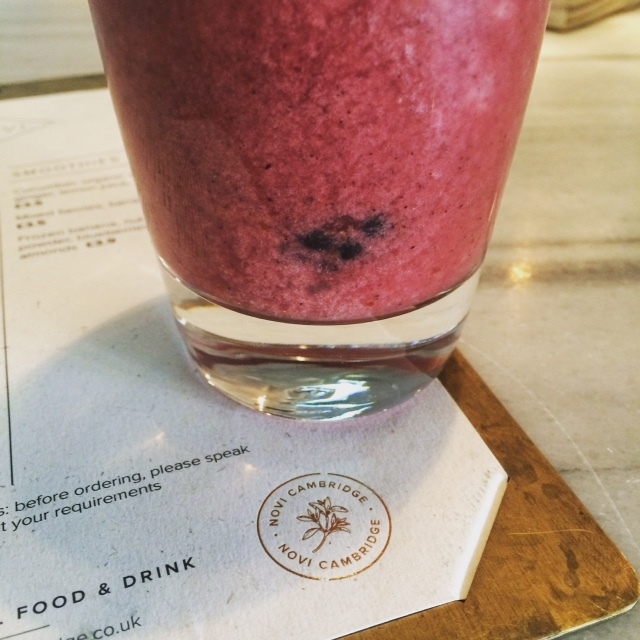 Keep checking… they could be popping in and out! 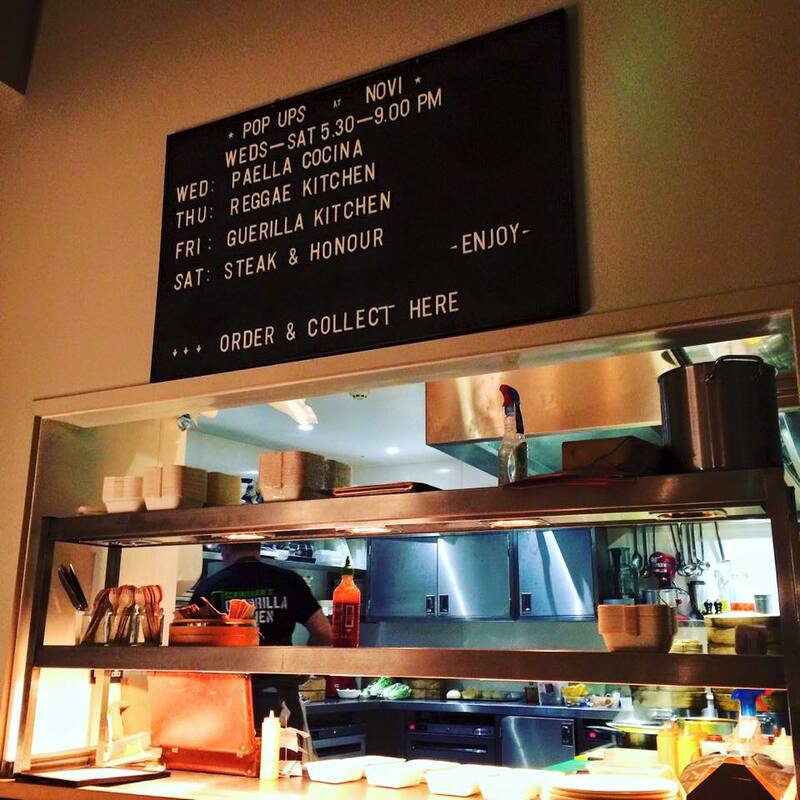 Guerrilla Kitchen have the Friday slot for now… but make sure you keep checking. 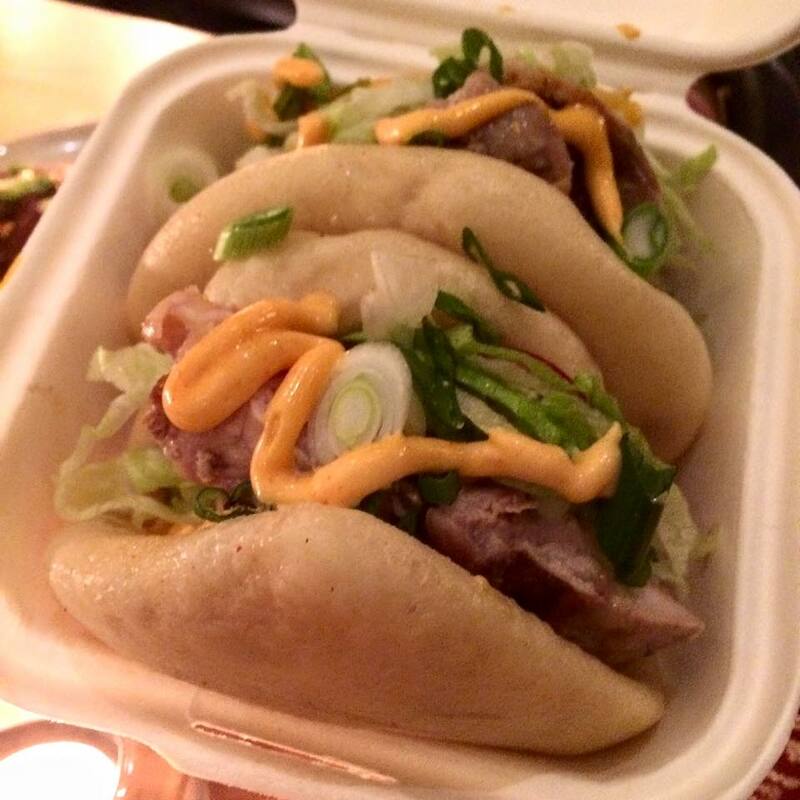 I’m already a fan of their bao (steamed buns), especially the Fat Hen filled with grilled chicken, gochujang and pickles. 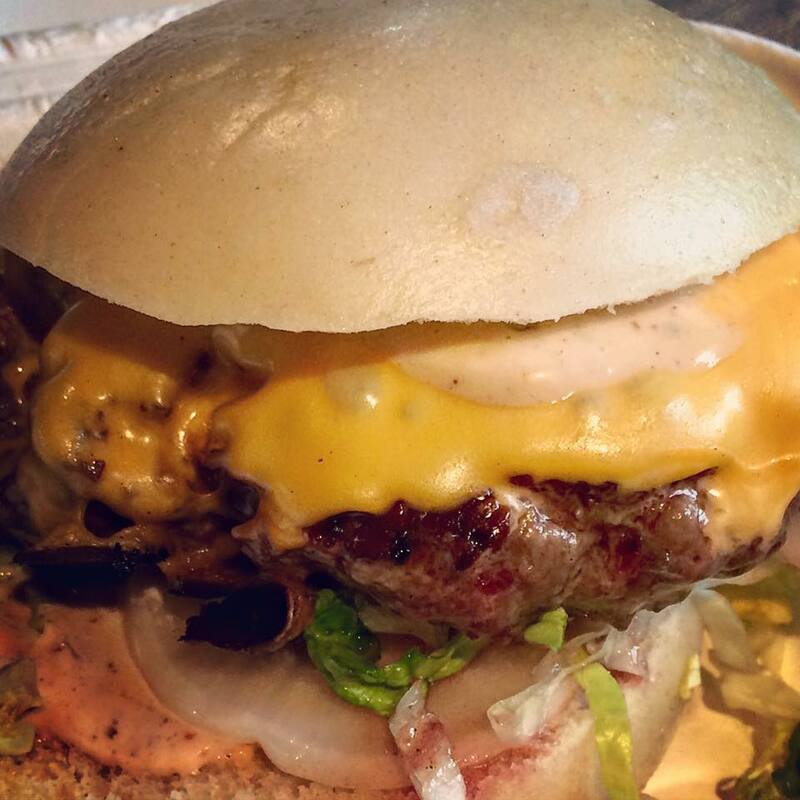 There is also a burger-style bao with Riverside beef, mooli, radish, lettuce, cheese and smoked chipotle mayo. 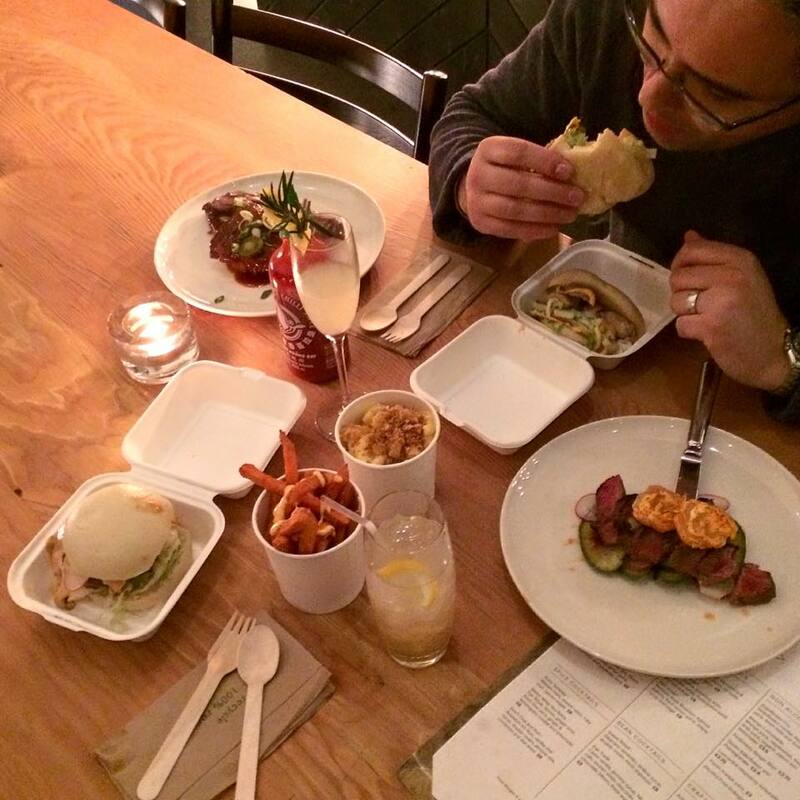 Paulo and I tried some of their new menu items and we were blown away! 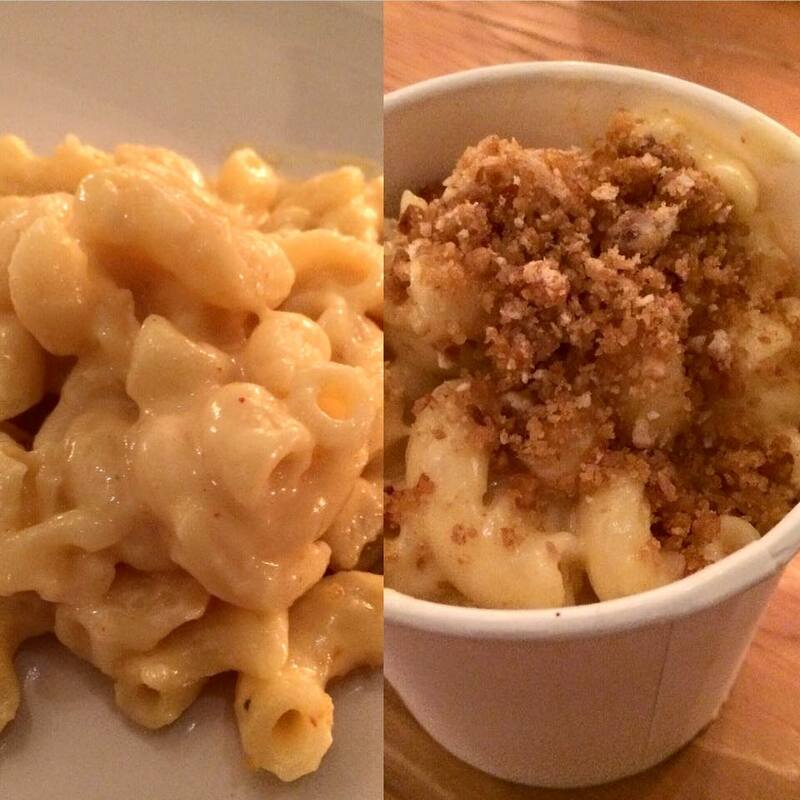 The kimchee mac n cheese was phenomenal. 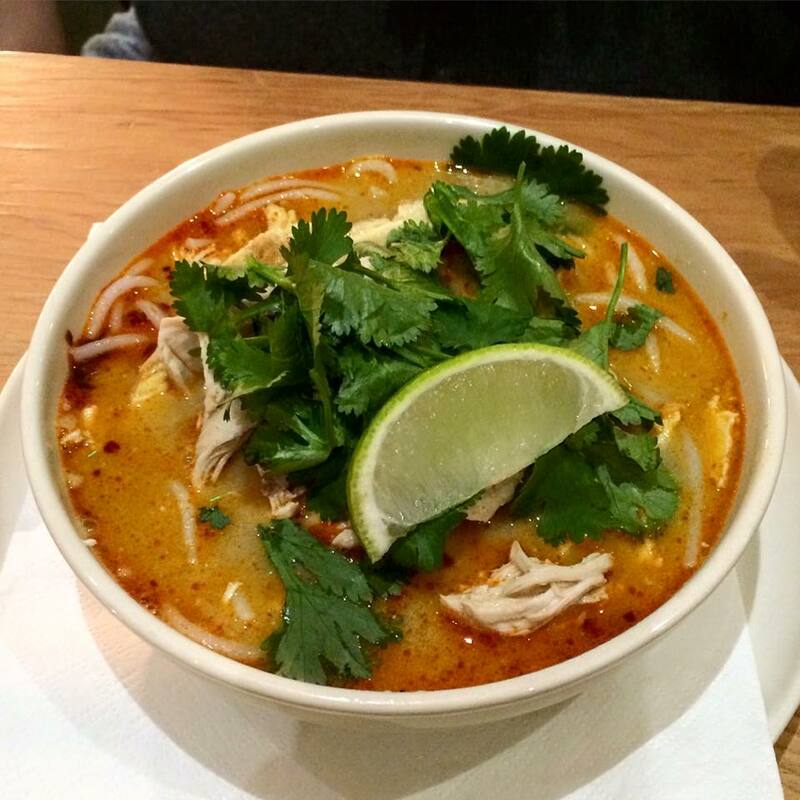 The kimchee added just the right amount of flavour without overpowering the creaminess of the cheese. The pork crust topping provided a nice contrasting texture. 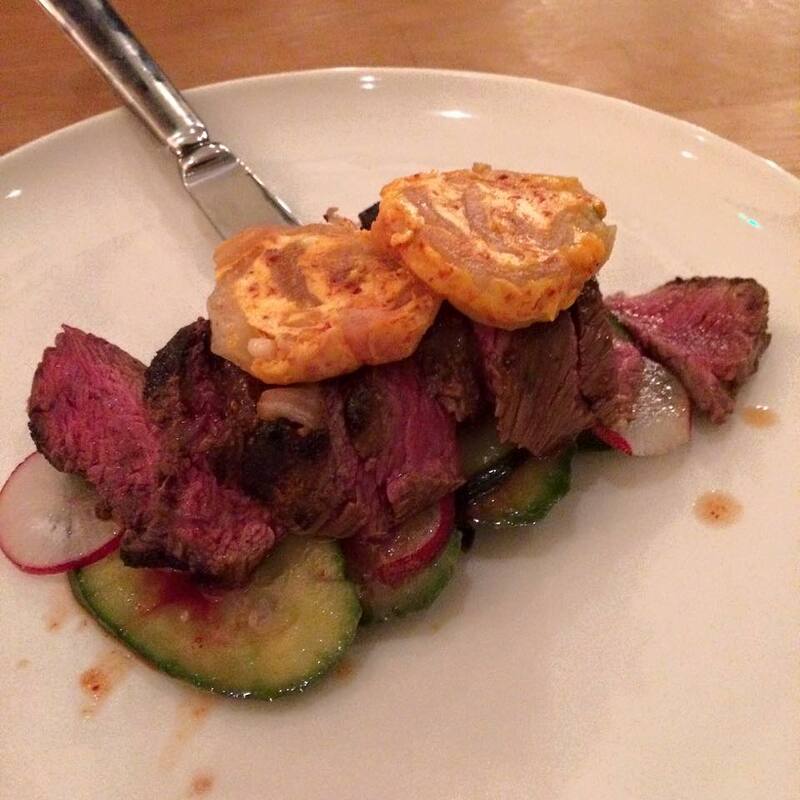 Oh but it didn’t end there, our Guerrilla Kitchen feast continued with a tender and succulent flat iron steak with kimchee & tare butter and Korean cucumber. 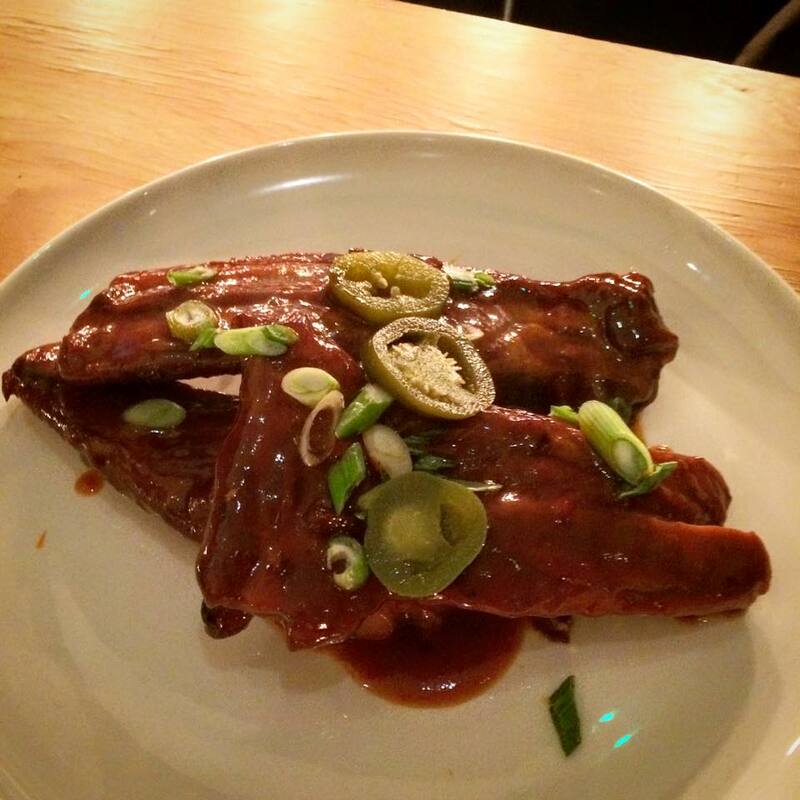 We couldn’t pass up the bourbon sticky ribs with pickled jalapeño and green onions. The ribs were so tender, the meat practically fell off the bone. Other pop ups we visited at Novi included Jalan Jalan. We enjoyed our favourites: banh mi (lightly battered fish with lime & black pepper mayo, red pepper & dried shrimp pâté, cucumber, coriander and pickled carrots in a bread roll) and sarawak laksa (spicy Malaysian soup with shredded chicken, rice noodles, omelette, fresh lime and coriander in coconut milk broth). 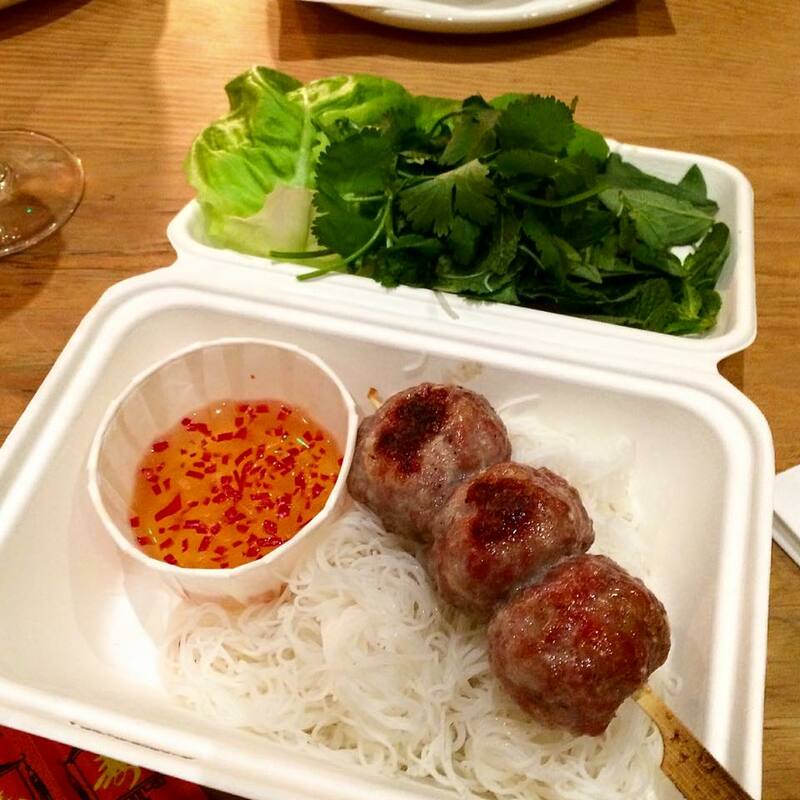 We also tried a new menu item: nem nuong (Vietnamese pork meatballs with rice noodles, fresh herbs and dipping sauce). We dipped each meatball in the sauce then wrapped the leaves around it. The noodles were meant to be cold. Lovely flavours and sensations! 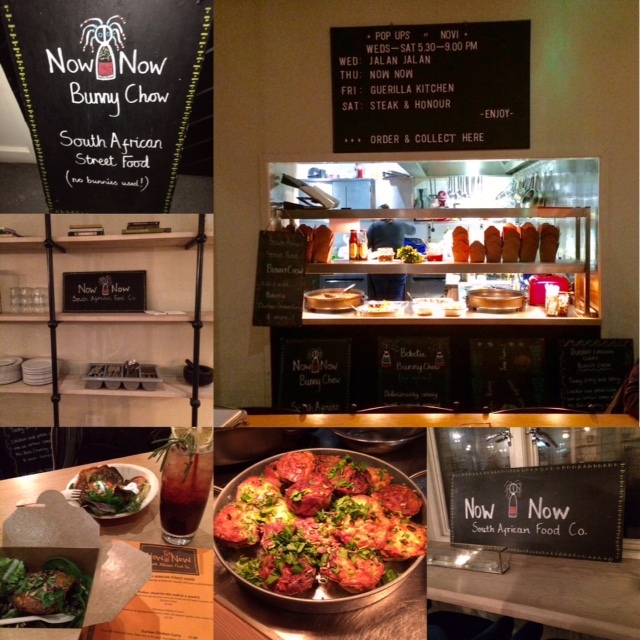 We had tried Now Now South African Food Co when they popped up at Novi in December. So when we found out they would be there again, we jumped at the chance. South African food is new to us and we enjoyed sampling almost everything on the menu, which was divided into starters, mains and desserts. We started off with Batswana Mielie Fritters (sweetcorn & spring onion fritters with spicy red pepper purée and crème fraîche) and Padko (veggie cake with butternut, spring onion and parmesan served with toasted chilli seeds). 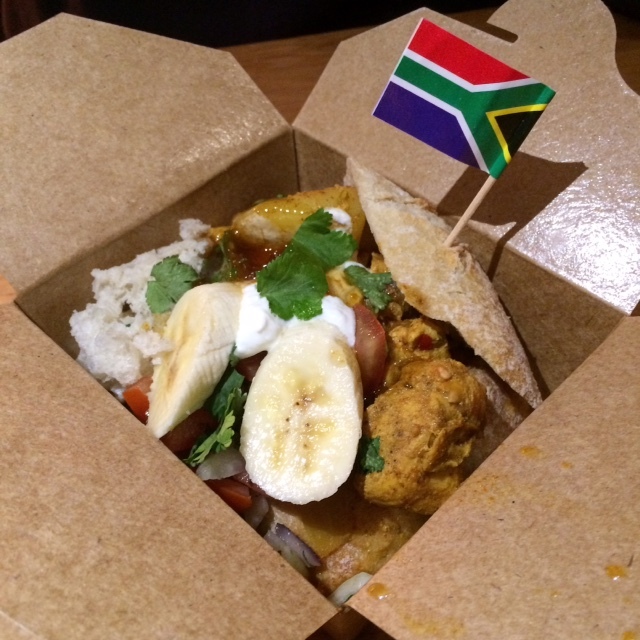 Now Now’s mouthwatering flavours continued with bunny chow, the ultimate South African street food. 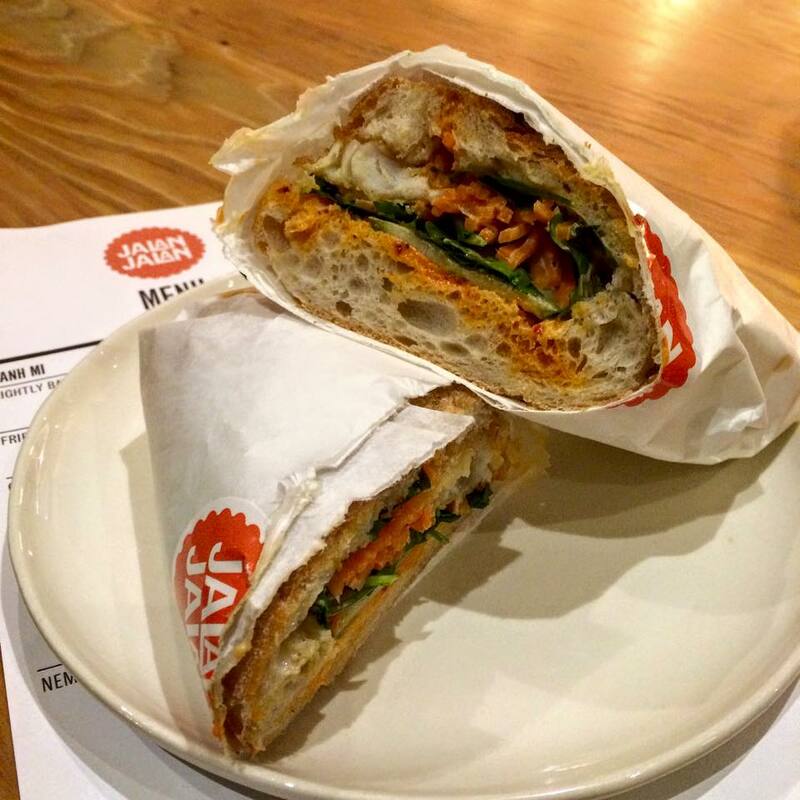 Paulo had the fiery Durban Chicken Curry: hollowed out bread filled with spicy chicken and potato curry topped with crème fraiche, tomato sambal, coriander, sliced banana and Mrs Ball’s Chutney (a South African staple). 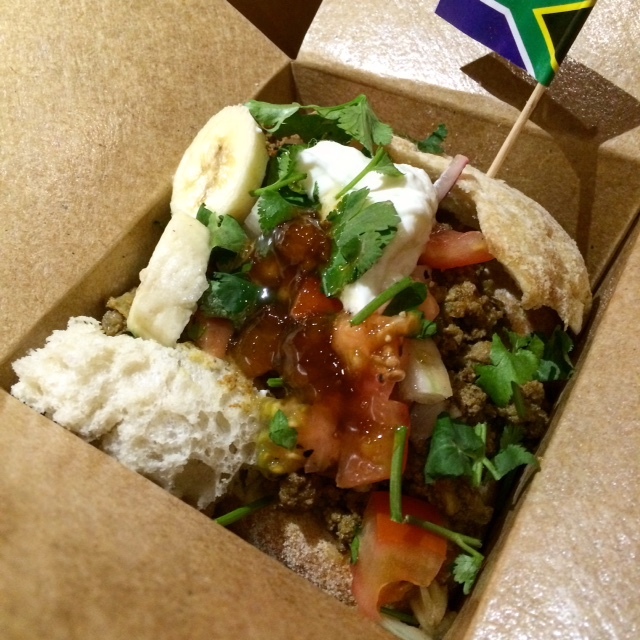 I enjoyed the Bobotie bunny chow with softly spiced ground curried beef filled into an artisan bread pot and topped with crème fraiche, tomato sambal, coriander, sliced banana and Mrs Ball’s Chutney. The desserts were out of this world. 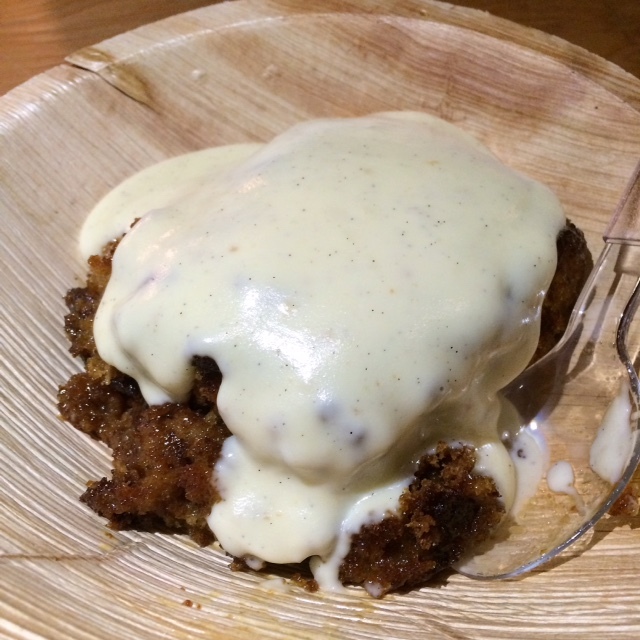 The Malva pudding was one of the best things we ever tasted. Paulo and I found ourselves still raving about this hot spongy pudding the next day. It was smothered with a tropical syrup and served with custard. It was incredibly light and not sickeningly sweet at all. 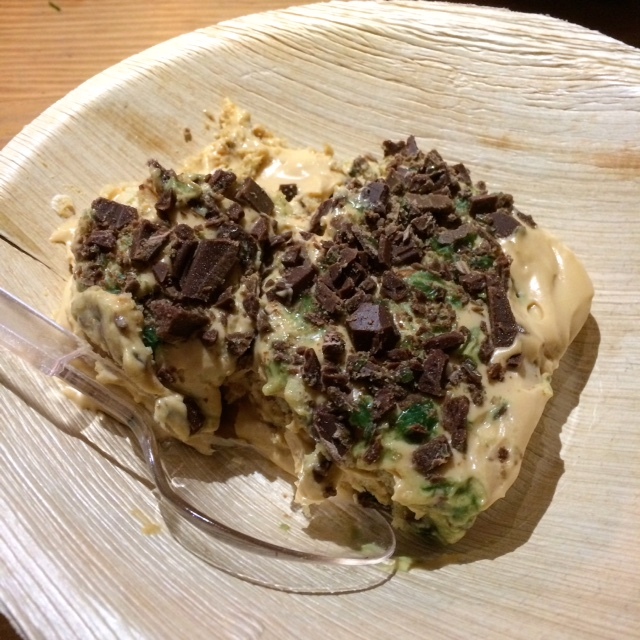 The Peppermint Crisp Pudding finished off our meal with a fresh note. We never had anything like it before: layers of caramel and coconut biscuits topped with South Africa’s favourite chocolate, Peppermint Crisp. Amazing! 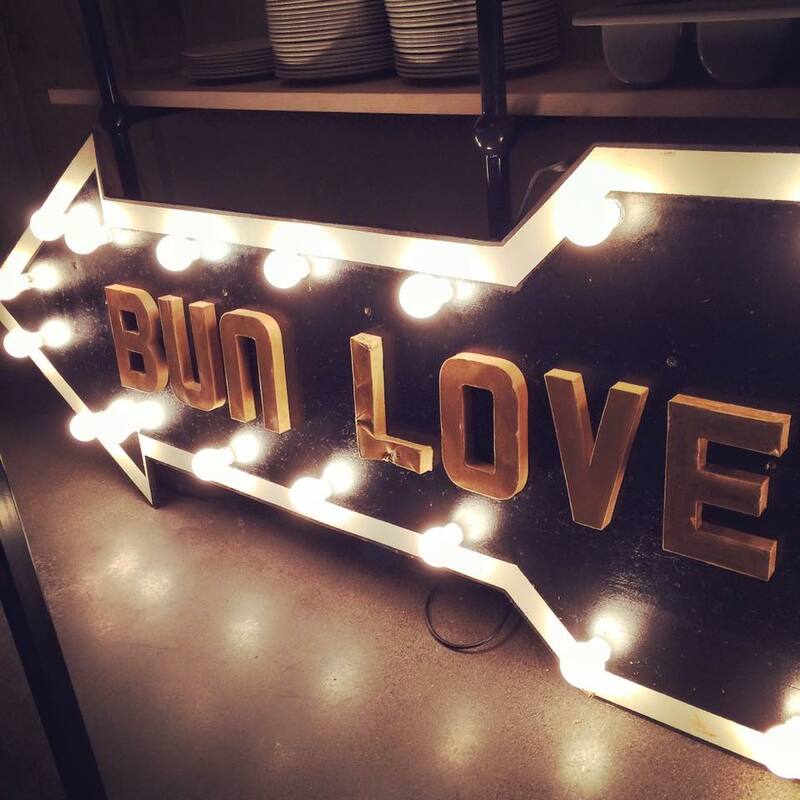 Even though we ate at Novi several times, there are pop ups we still haven’t visited. This is a testament to Novi for keeping their food offering diverse and exciting. 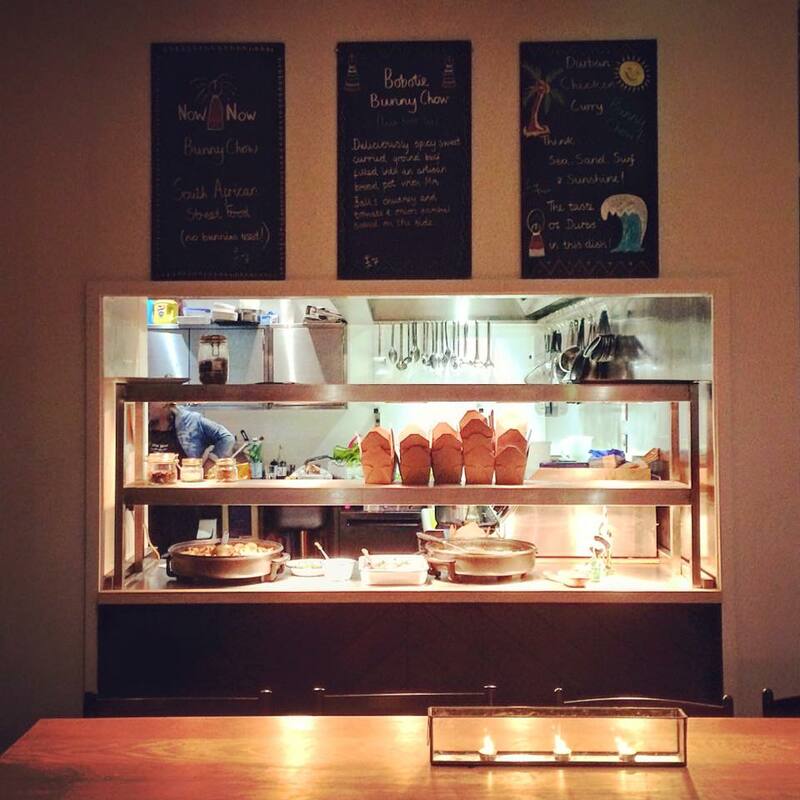 Paella Cocina were featured, Rösti Strasse popped up for the first time this week (I tried their Swiss potato based dishes before) and Reggae Kitchen made a few return visits. 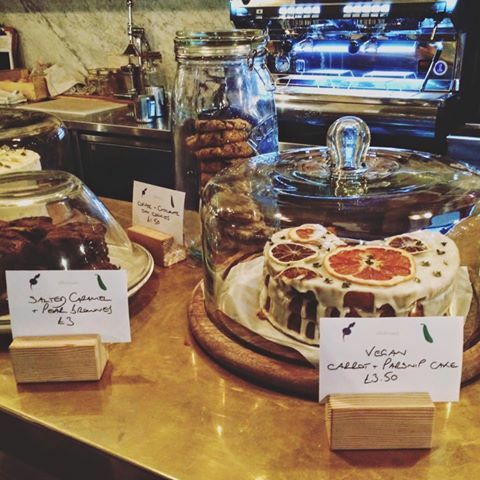 Curly Kale Café will be bringing their vegan menu for brunch and Sunday roast, so it’s good to see Sundays filling up as a pop up day too! As if dinner time and Sundays (most of the day) aren’t enough, we are fortunate to have Katie Moore of allotment at the helm of the kitchen Thursdays to Saturdays, 9am to 3pm. 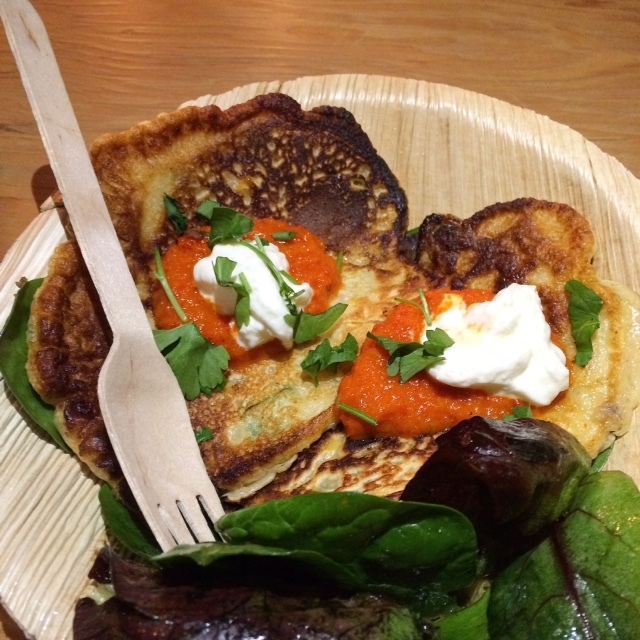 Allotment is a pop up cafe and bakery making food with Cambridgeshire produce, inspired by Katie’s allotment. She always bases her menu around what produce is being grown locally and tries to source as much from the region as possible. 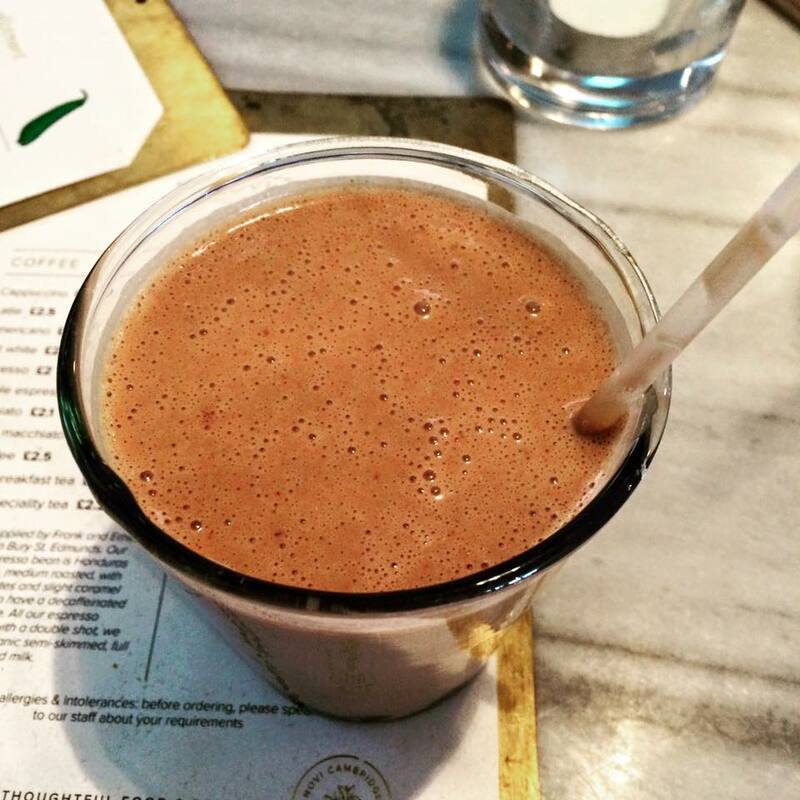 The emphasis is on fresh, healthy food including vegan options. In fact, allotment’s gorgeous cakes are causing a sensation, especially the vegan carrot and parsnip cake (which I have yet to try). 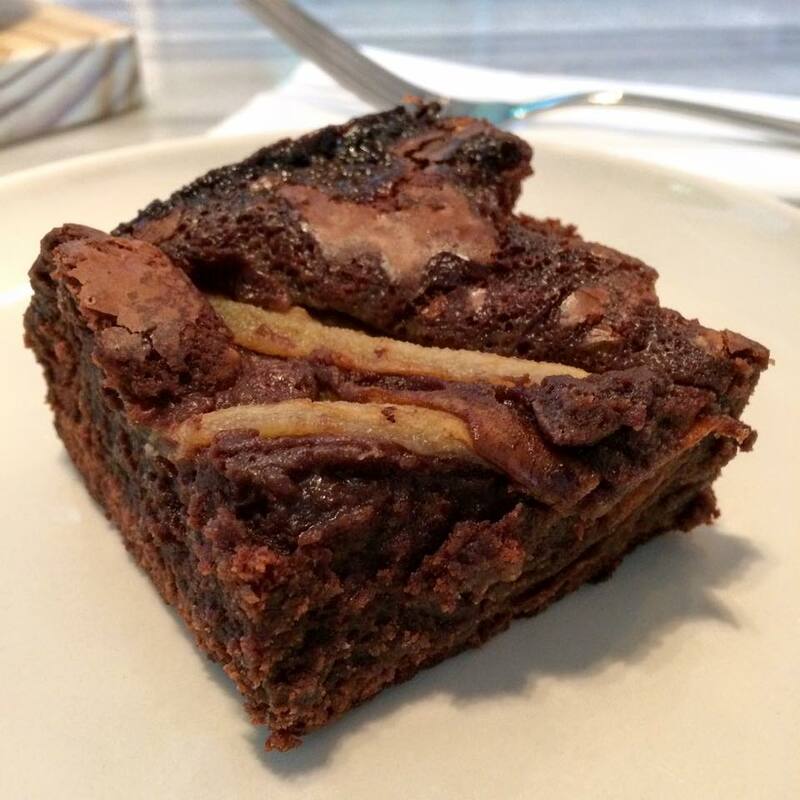 I did nibble on a salted caramel and pear brownie and it was divine! 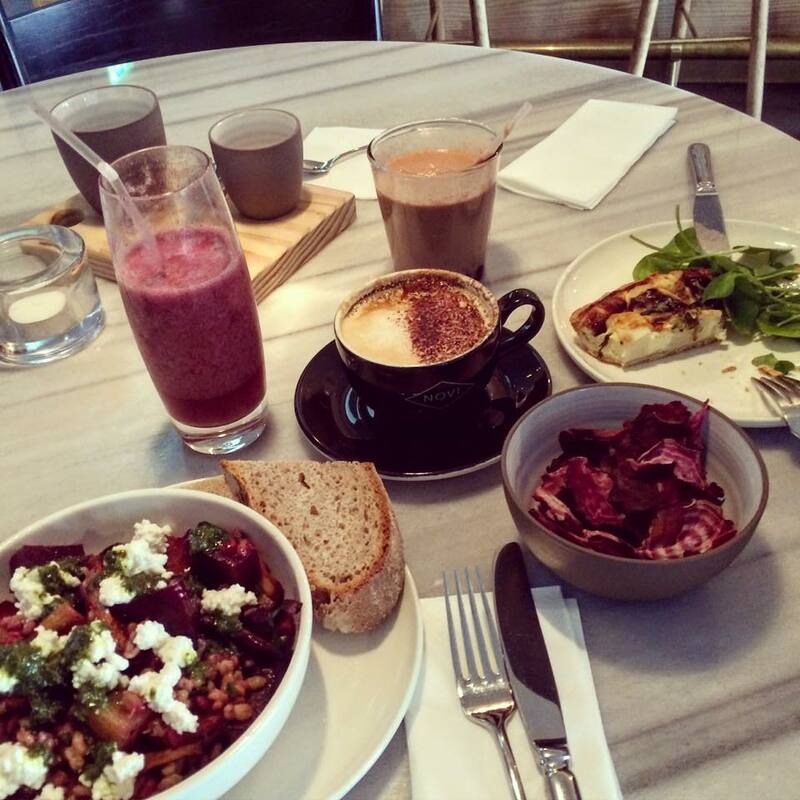 I will have to make a separate trip just for tea and dessert because the salads are so deliciously filling. 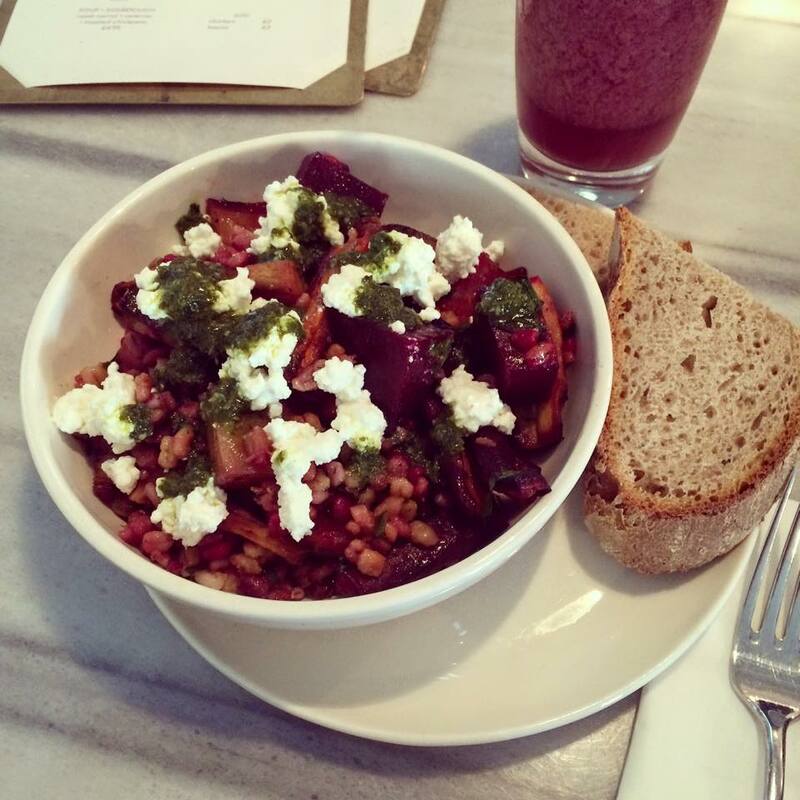 I had a healthy salad made up of citrus roasted root vegetables (beetroot, parsnips and purple carrot), pearl barley, salsa verde and homemade ricotta. It was served with a slice of sourdough bread (also homemade). 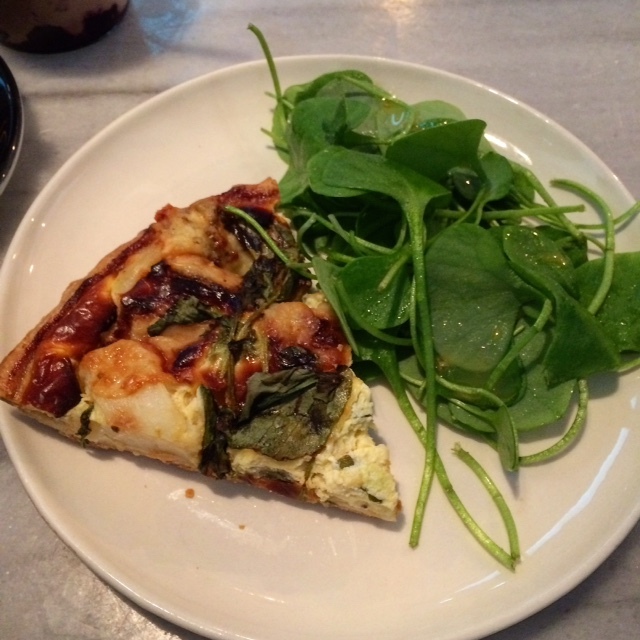 Paulo had a potato, blue cheese and watercress tart with green salad on the side. 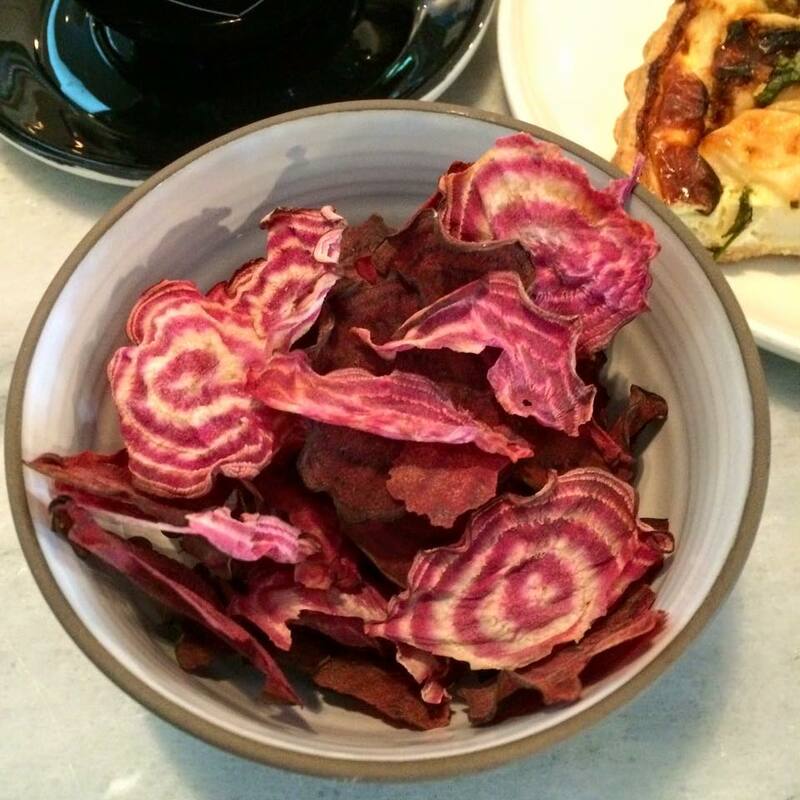 We also enjoyed beetroot crisps. Just look at the beautiful pattern. Nature’s palette! I can’t wait to find out what else Novi have in store for us with their pop ups. 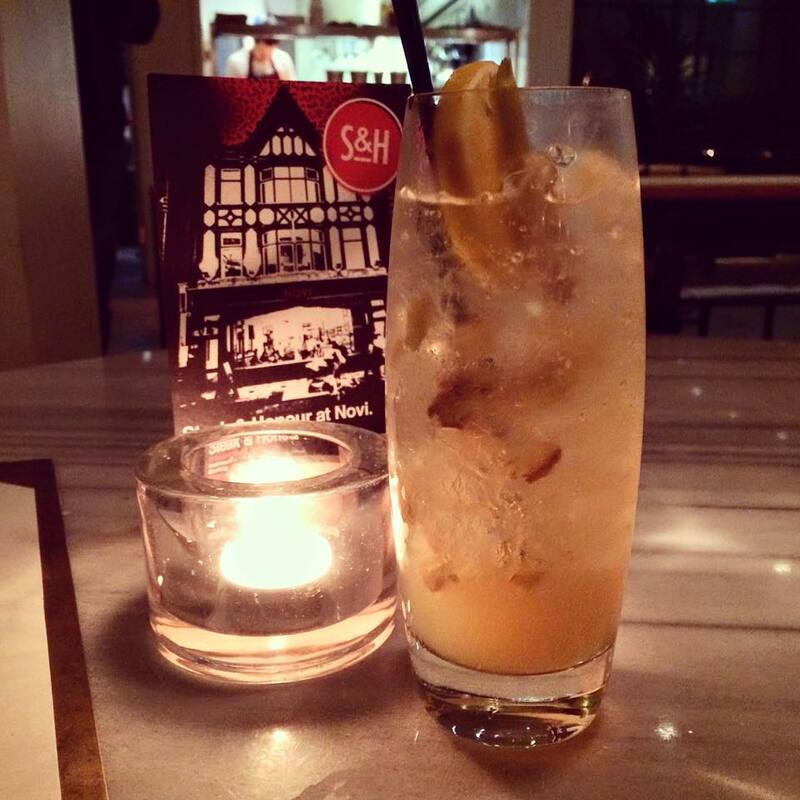 They are proving to be massively popular so be sure to make a reservation. 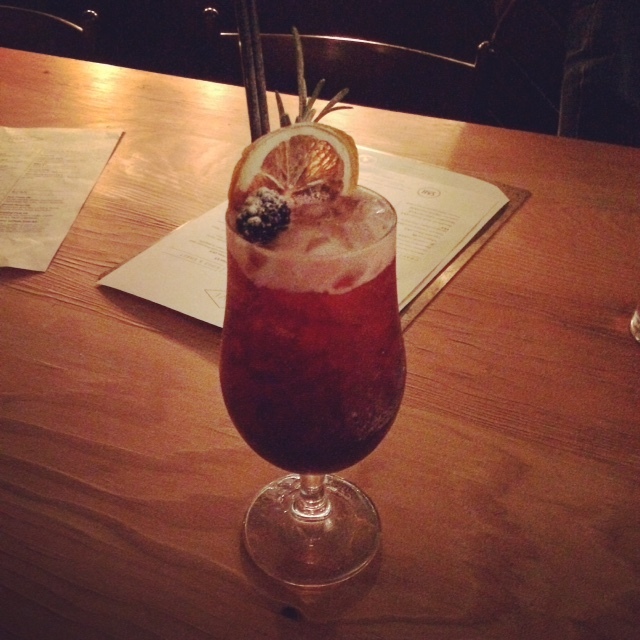 The region is full of talented independent traders and Novi are doing a great job showcasing all of this deliciousness in Cambridge, with the added bonus of spoiling us with some truly fabulous cocktails! This entry was posted in Restaurants and tagged allotment, bunny chow, Cambridge, cocktails, Curly Kale Cafe, Frank and Earnest, Guerrilla Kitchen, Jalan Jalan, Katie Moore, Novi, Now Now South African Food, Paella Cocina, pop up, Reggae Kitchen, Rosti Strasse, Steak & Honour by One Two Culinary Stew. Bookmark the permalink.